The number of Canadians living below the poverty line has never been lower, new numbers from Statistics Canada suggest. The data agency released its Canadian Income Survey for 2017 on Tuesday, a tally of how Canadians from different demographic groups were doing that year compared to how they were doing in previous years. Overall, the median income, after taxes, for Canadian families rose by 3.3 per cent to $59,800. That figure comes on the heels of two years of flat growth. While a rising tide seems to be raising all boats, that's not to suggest that some people still aren't dipping below the surface. In 2017, 3.4 million Canadians, or 9.5 per cent of the population, lived below the poverty line, down slightly from 10.6 per cent the previous year. The definition of the poverty line is something of a moving target. Last year, Ottawa established a new definition of the poverty line, which from now on will be calculated as the Market Basket Measure or MBM. By the MBM's math, the government considers someone as being below the official poverty line when they are unable to pay for a specific basket of goods and services in their community — things such as healthy food, appropriate shelter and home maintenance, clothing and transportation, and access to other services and activities that allow them to engage in their community. 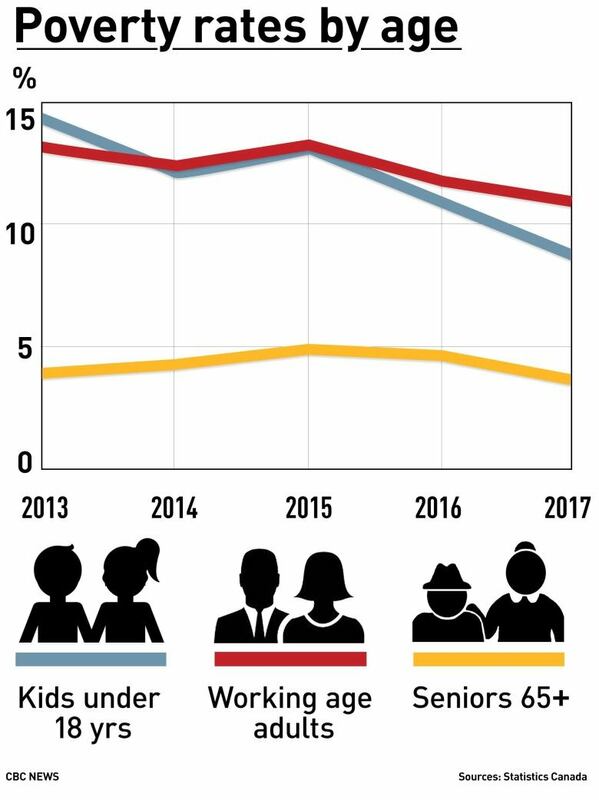 While fewer Canadians overall are now living below what the government deems to be below the poverty line, not all demographic groups are moving up at the same speed. The number of children living below it has fallen precipitously in recent years. In 2017, 622,000 children — nine per cent of all children — were living below the poverty line. In 2016, the figure was 755,000 children, or 11 per cent of all of them. In 2015, it was 900,000. The proportion peaked in 2012 when 15 per cent were officially considered poor — more than a million children. The data agency noted that 2017 was the first full year in which Ottawa distributed the Canada Child Benefit, a government program that allows any family with a child to receive up to $6,400 per child under the age of six, and $5,400 per child aged six through 17. 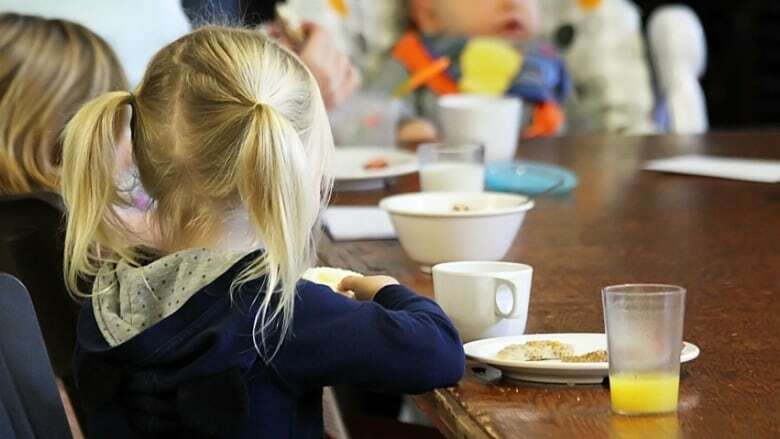 The CCB replaced previous child-focused government programs including the Canada Child Tax Benefit, the Universal Child Care Benefit and income splitting. Think-tank The Fraser Institute, which promotes free market solutions in policy discussions, has criticized the CCB for being a program that "fosters dependence on government," and "not a policy that rewards hard work by allowing Canadians to keep more of what they earn." Other demographic groups are, in the aggregate, also rising out of poverty, but not as quickly as children are. In 2017, just 238,000 Canadian seniors were living below the poverty line, just 3.9 per cent of the total population, and a reduction of more than 16 per cent from the 2016 level. But the 2017 figure is actually higher than it was in 2013, at 219,000 people or 4.2 per cent of Canada's senior population at the time. Incomes for seniors, however, are inching higher. The median after-tax income of a Canadian family where the main income earner was at least 65 years old was $61,200 in 2017, up $2,500 from 2016. Across all age groups, incomes rose at different levels across the country. 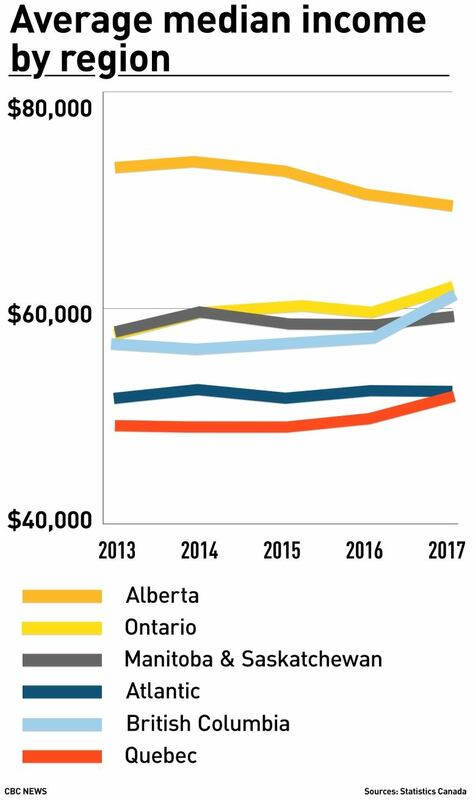 Albertans had the highest median after-tax income in 2017, at $70,300, a figure that declined by $1,000 from 2016's level. Nova Scotia had the lowest, at $50,200. Incomes rose in British Columbia, Quebec and Ontario by 7.6, 4.2 and four per cent, respectively. There was little change among the other provinces, the data agency said. An earlier version of this story stated the Canada Child Benefit is not indexed. In fact, the CCB has been pegged to inflation as of last year.